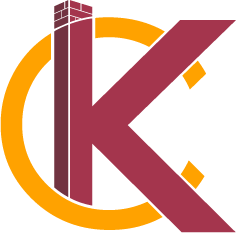 Contact KC’s Improvement & Construction Co., Inc., Greensboro, NC | KC's Improvement & Construction Co. Contact KC’s Improvement & Construction Co., Inc., Greensboro, NC | KC's Improvement & Construction Co.
Get an estimate on your upcoming project in Greensboro by contacting us today. No project is too big, small, or complicated for our professional, qualified, and friendly team here at KC’s Improvement & Construction Co., Inc. For over 30 years, we’ve become the Greensboro, North Carolina area’s contractor of choice, thanks to our commitment to quality workmanship, streamlined construction processes, and dedication to ensuring the complete satisfaction of our clients from beginning to end. Let us put our experience and construction expertise to work for you, and we are confident you won’t be disappointed. For more information about the remodeling and renovation services we offer and how we can make your upcoming project a success, get in touch with us today. Sign Up Today for our e-newsletter and receive helpful hints and tips to help you maintain the integrity of your home! + Connect with KC’s Improvement & Construction Co., Inc. We would love to hear from you! Send us your ideas and questions! We love hearing from our customers! Keep in touch via Facebook, Pinterest, Instagram and more!